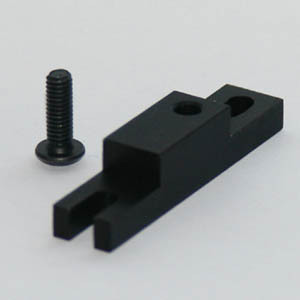 Dichro mount fitting kit - includes aluminium base and screw. Provides the most stable means of mounting our adjustable mounts and allows fixing from above. One fixing with open slot for easy removal. 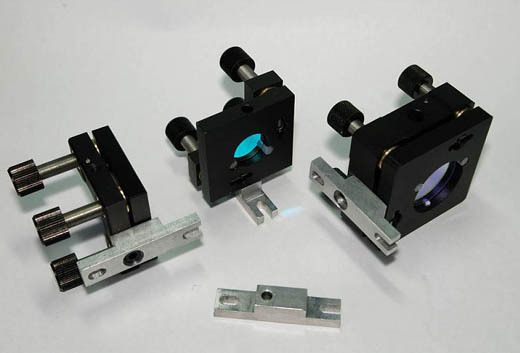 Designed for the 15mm Mounts, they will place the centre of the dichro at the exact beam height for Laser-Wave lasers, they can also be used with the 25mm mounts. Supplied with a tough black anodized finish.